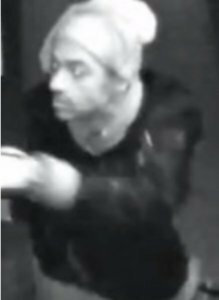 On December 28, 2018, the Secaucus Police responded to Blimpie, located at 1277 Paterson Plank Road, on a report of a burglary. The burglary occurred between 3:30 AM and 4:12 AM on that date. During the investigation, it became known that a single male actor forced entry into the business and committed a theft while inside. The burglar is described as a tall thin male with a noticeable limp. Upon completion of the burglary and theft, the burglar fled the area in a 2003-2007 dark colored two door Honda Accord heading east on Paterson Plank Road. The burglar and his vehicle were caught on video surveillance within and outside of the Blimpie and is attached hereto. The exact method of entry and proceeds of the crime are being withheld, citing the ongoing investigation.